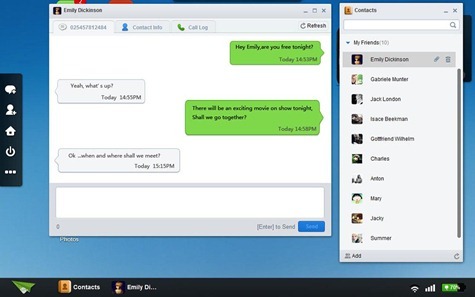 The great thing about AirDroid is that it works - it's easy to start up, and functions flawlessly (in my experience). The interface is also very polished - mimicking a desktop launcher complete with moveable icons, a task bar, and controls that allow you to do just about anything. One of the most impressive features is the ability to access SMS messages, manage them, and send messages right from a web browser. Users can also manage contacts, uninstall/backup apps (AirDroid will download your apps as apk files), browse files, access the Android Market, and manage music and ringtones, in addition to the ability to look at phone information from CPU status to battery level and beyond. 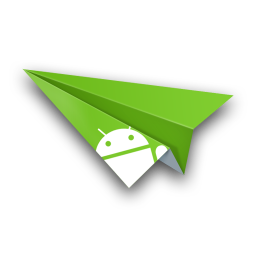 Best of all, AirDroid is completely free from the Android Market. With all the powerful features it offers, this app is certainly worth checking out.